There is a lot going on here at GUMC! People are busy preparing for our fall kickoff of K'Motion and iFire. K'Motion is our new high-impact children's experience for pre-K thru 6th grade. It begins Sep 13 at 9:30 & 11 am with a HUGE Community Block Party following at Noon. There will be a petting zoo, inflatables, food and games for everyone! Please invite friends and family to this great day. The block party is free. 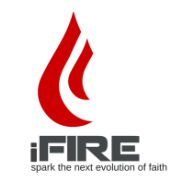 IFire is the name of our new modern worship experience which launches Sept 27 @ 11 am. The trustees are busy overseeing the installation of our new sound and video system in preparation for this new adventure. We will be learning a lot of new things between now and September! This undertaking is enormous, and we need everyone's help to make it successful. I am so proud of everyone who has stepped up to help. Many have put in long hours, extra evenings and weekends, sweat and a lot of elbow grease. You all are terrific. We couldn't do it without you. 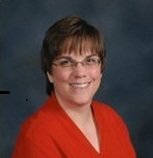 I served on a committee many years ago which examined grant proposals to determine if a church should get funded for a new idea for outreach to their community. One particular church had a doozy of an idea...their church sat on a lake, a lake that was filled with boats and people fishing on Sunday mornings during church time. The church wanted money to buy a sound system so they could broadcast their worship service and sermons over the lake to the anglers so they could 'attend' worship while fishing. I wondered out loud how long it would be before those newly installed speakers would have bullet holes or ball bat scars on them. I could imagine people on the lake early in the morning, relaxing, getting a nibble or two, only to have all the fish scared off when Victory in Jesus began to get piped through the sound system. One of my greatest pet peeves is when people see a problem and immediately run out to solve it while ASSUMING that the answer is simple and obvious. The church needs more people. There are lots of people are on the lake. Of course all they need is to hear the church service to want to be part. The fact that we inflicted this on them against their will doesn't seem to be a problem. After all, who doesn't love being yelled or crooned at against your will??!? 1. The thinking and behavior that got you into the situation won't get you out of it. If the trajectory of your life, your church, your marriage, your kids, isn't what you desire, then something has to change. What makes us think that we can see different results without better understanding or different behavior? 2. The people who got you into the problem probably won't get you out of it. We think people change, therefore groups change. Wrong. Groups change because people get shuffled around. Hate to break it to you. Either they walk away from the group, they head for their eternal home, or they undergo a serious transformation of heart or mind, which in essence is them dying to self. 3. If we knew what to do, we'd already be doing it. Of course there are exceptions to this that make the entire diet industry extremely happy (I KNOW I shouldn't eat the entire sleeve of girl scout cookies, but I do it anyway. It's for the children, after all). But aside from those besetting sins, as a church I have found this to be true many times. I find that a heart change AND a change in understanding is both needed to see a real difference in the life of a church. People generally don't want their church to decline. But the world has changed and left them behind. They don't know HOW to catch up. And if you're going down hill, just pedaling faster in the same direction gets you down the hill faster. So for all of the goal setting we do, for all of the strategic planning, for all of the fund raising and pep talking we espouse, let's start with the critical first piece that is many times missing: RESEARCH. Don't just do something for the sake of doing something. That only burns out and frustrates the most loyal of people. It is a sin to waste people's time and money by throwing each after a bad idea. It erodes people's confidence in their leader, and sets a church up for the 'we tried that before' excuse. For example, we have know for years that the first modern worship service a church introduces should not be on a Saturday or Sunday night. Yet I have pastors ask me how to re-energize and get more people to their Saturday night contemporary services. Easy - put it at 11 am on Sunday morning where it belongs. Of course there are exceptions to every rule, including this one. But are you really being called to be the one exception? Didn't think so. There is no need to make mistakes that have been written about at length, spoken of and shared across the internet for years. God has called us to lead, but has also placed us in the space and time when we can learn from each other in an unprecedented way. He provides mentors, coaches, books, webinars, and tales of woe to teach us what generally works and what generally doesn't. Most of us are not called upon to re-invent the wheel. Most are called to drive those road-proven wheels toward a new future unique to our churches. Do you like roller coasters? My favorite was The Beast. It was the last of the great wooden coasters. You stood in line for a couple hours in the hot sun just to ride it. It banged you up when you finally got on it. And most of the time, when you were finished, you ran back into line to do it all again. And people paid money to do this! As a church we have been on a ride! There is a lot to do as we discern and follow God's directing. There is a bit of stress, long hours, and lots of meetings. So why would someone sign up for this ride? Why complicate your life this way? 1. Coasters are more fun with a group. We have a great team here at GUMC. We have tackled some challenges over the past year, and each time we have worked together to find a way forward. Most importantly, we have done this as a team. None of us have to be alone. 2. This ride means something. We have a meaningful future. 20 years from now when our kids, grandchildren, and great grandchildren are part of our church family, they will be thanking God for the decisions we made today. We will have a vibrant flourishing church family sharing the transformed life God offers with the next generations of Girard residents. 3. We have a faithful God. In 20 years where will you be? I will just be retiring (okay, I hope I will be retiring). I plan to look back on a long ministry which is still bearing fruit even after I leave the pastorate, and hopefully will make an impact even after i leave this planet. Everything we do now, we offer as a sacrifice to God. He will use it for his glory and to build his people. He wants this to happen - even more than we do. We can trust that. Our sacrifice is never wasted. So for every meeting, every conversation, every time we step out of our comfort zones, we are making a difference for a generation we may not have even met yet. It's going to be a wild ride. But it will be worth every minute of it. Let's get in line - again! I remember as a kid being in church and feeling God's presence so profoundly that the air felt 'thick'. It's been a long time since I've experienced that - until about two weeks ago. We gathered after worship to listen to Bill, my coach, advise us on moving forward as a church. As we listened, talked, and debated, the presence of God seemed to fill the room. "I now KNOW God exists, because I experienced his movement first-hand." was said by more than one person that day. That is the power of unity. When a group of people come together for a common purpose, God's Spirit is attracted to and more easily displayed in the midst of that unity. That doesn't mean everyone sees everything the same, nor does it mean that every problem was solved. But a unity of our spirits invites the Holy Spirit to move in unexpected ways. 1. there is a common purpose. People put aside their own agendas for the greater good of the church. 2. there is a commitment to stay in relationship, even if we disagree or don't understand. No one stomps from the room because they didn't get their way or because of some minor procedure that wasn't followed. 3. it is a magnet for the Holy Spirit. God rarely if ever works outside of human agency. When we are unified around God's will, the Holy Spirit is freer to move, work, and change lives. Because of our openness, God is more open with us. And it is a wonderful thing to experience. May we see many more days of God's Movement. I was talking to a young man who grew up in a Methodist Church (not Girard). I was taken back by something he said. I had preached about how following Jesus was different than following a religion. Religion is about following rules, but following Christ is about a relationship. This relationship is one granted to us by faith. We can't work our way to it. It's not about being a good person or getting enough 'points' to earn our way to God. This is a huge distinction between a religion and a relationship. I've been going to church my entire life and I never heard that before. Wow. Seriously? Even if he only went on Christmas and Easter, still in his 35 years he should have heard something about salvation coming by grace through trust in God. Certainly someone would have pointed out that this is the unique message of Christ against the backdrop of every religion (including what is preached as Christianity sometimes). 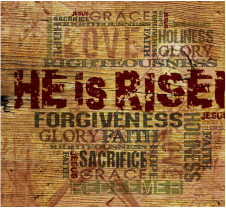 The life, death, and resurrection of Christ IS our hope. The stained glass, music, good deeds, giving to missions, working in the Sunday School class, are all great things. But they only serve to communicate the most important thing. We have peace with God because of Jesus. If we trust him to bridge the divide, then it is so, by His grace. Everything else springs from that. Thanks be to God. We are truly free.